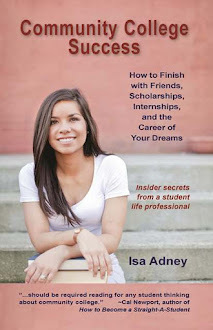 Community College Success: Ask Isa: What do you do when a friend unfriends you on Facebook? Ask Isa: What do you do when a friend unfriends you on Facebook? Dear Isa, I’ve noticed in CC (especially when you’re in the honors program) you make a lot of close friends! It’s been a few years after we've graduated, and one of my friends defriended me from facebook and twitter. I have no idea why and they did it silently, however extremely noticeably, all of our mutual friends noticed. I always thought we were friends. Should I confront her or what? Sincerely, Unfriended." Ugh it is an awful feeling when you notice someone you thought was your friend has done the dreaded "unfriend" or "unfollow" on social media - especially if you weren't expecting it. It is wonderful to make close friends in college, as I also did with the people I met in my honors program. However, I graduated community college six years ago and we rarely talk anymore. I think the world of them and would do anything for them in a second, but for the most part we've all moved on in our lives. It happens, and it's natural. We have many friends for only a season in our lives. While it is lovely for those who meet people in high school or college and stay friends forever, it is rare. It's completely okay if your friendships in college don't last forever. When it comes to "unfriending" on social media, some people do it with a variety of theories in mind. For some crazy reason yes, your friend might have decided she doesn't like you anymore. But she also might be trying to simplify her social media, intending to keep only the people she feels really close to now, or a variety of other reasons. If you feel like you and her have grown apart naturally, there is no need to confront her about it. However, if it does bother you and that awful feeling isn't going away, there is no reason why you cannot (maturely) ask her why you were unfriended. Keep it casual and say something like: "Hey_____, I hope all is well. I still think about all the times we had doing_________ in the honors program and miss you. I know this might be awkward, but I realized recently you unfriended me on Facebook and Twitter. Is everything okay? I just wanted to make sure I didn't do anything that upset you..."
Of course write it in your own words, but keep it light, kind, and not defensive, because you don't know the reasons yet. One time I noticed an "unfriend" from a co-worker that made me feel bad and I wanted to know what happened. I asked her about it in person and it turned out she was just unfriending all the people who worked at our company because she realized she wanted to keep her Facebook separate from work and that it was nothing personal; she still liked me. I felt so much better, and once I got a new job we became Facebook friends again. Social media adds new nuances to friendships. There are many rules to breaking up with a boyfriend or girlfriend, but none for "breaking up" with friends, which can make those unexpected unfriendings really awkward and uncomfortable. But whatever happens, stay positive and mature, wishing the other person the best whatever his or her reasons, apologizing if you did do something you feel was wrong, and then move forward.